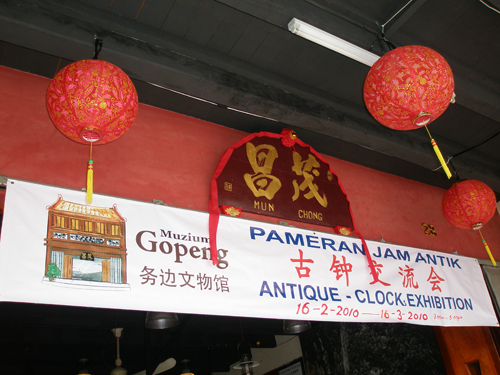 As you can see from the above the Gopeng Museum is currently holding a one month Clock Exhibition until 16 March 2010. 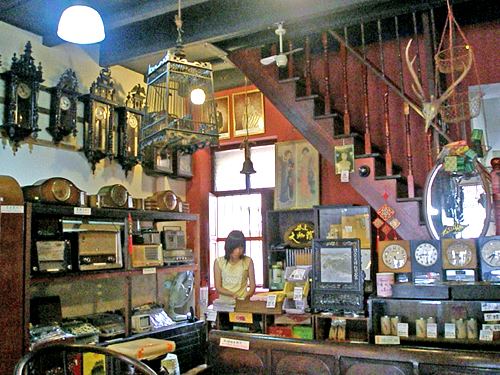 There are more than 185 old (antique!) 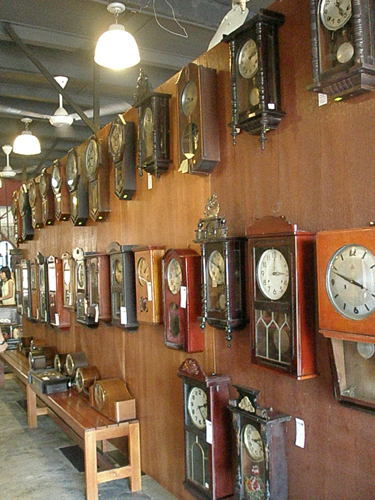 clocks on display. Almost all the pieces have been lent by local people. Some are shown here. The normal exhibition remains on show which also includes many old clocks. Do get along there, it is very interesting and worth the visit. But please remember to leave a donation in their box to pay some of the costs of bringing this show to you FOC. Bravo Gopeng Museum Team! You are doing a marvellous job. If only other towns like Kampar, Ipoh and Taiping could do the same for their local history. What is the matter with the people in these places, don’t they care about their past?